Does dressing for success still apply in today’s world? 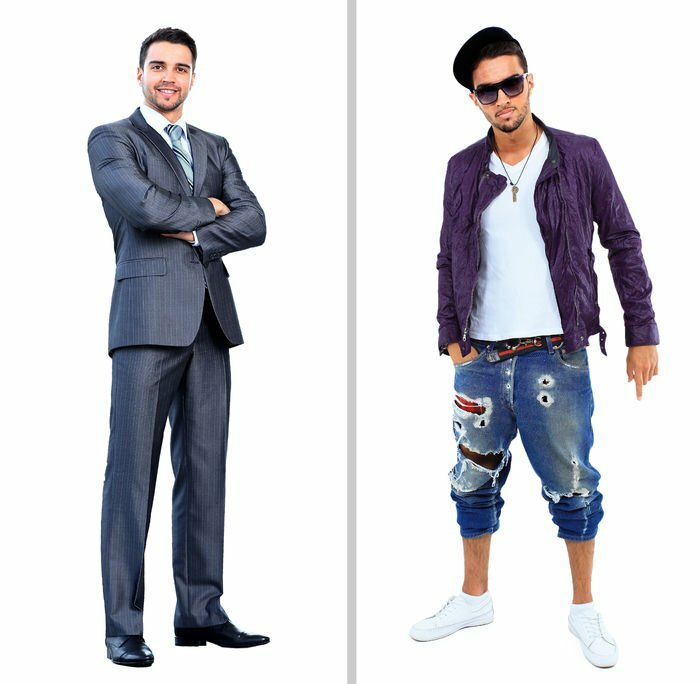 Of course the picture shown here is going to the extreme to show how one can “dress up” or “dress down” but does how you dress really affect your success. Are people more likely to do business with a person dressed in a suite and tie than someone dressed say in a pair of jeans and polo shirt or even a pair of golf shorts and polo shirt? I’m curious to know what you all think.